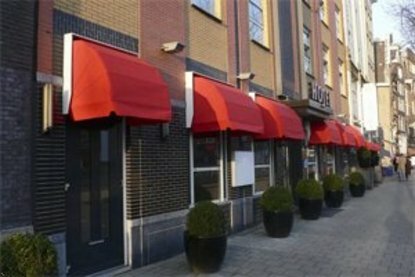 Tulip Inn Amsterdam Centre is a cosy 3 star hotel located in the heart of Amsterdam within a 5 minute walking distance of the Central Station and the Dam Square. The hotel has 106 comfortable rooms, which are renovated in 2008. Besides the regular facilities of a 3-star room these Deluxe rooms are equipped with airconditioning, free wireless Internet, flatscreen tv and a rainshower. The lobby is renovated into a warm and trendy lounge. Breakfast is served in the luxurious coffee bar: Piazza D Oro. Several trams stop in front of the hotel and there is also a public car parking located in front of the hotel.